We're interested in what young people in Canberra have to say! For further information contact Youth InterACT on youthinteract@act.gov.au or (02) 6205 3064. Last November, Children, Youth and Families (CYF) hosted a Youth Roundtable to hear directly from young people about their experiences of being in care and what they think would make a difference. The roundtable included young people currently in care or who have recently left care because they turned 18. It was facilitated by the Youth Coalition, CREATE and the Institute of Child Protection Studies. 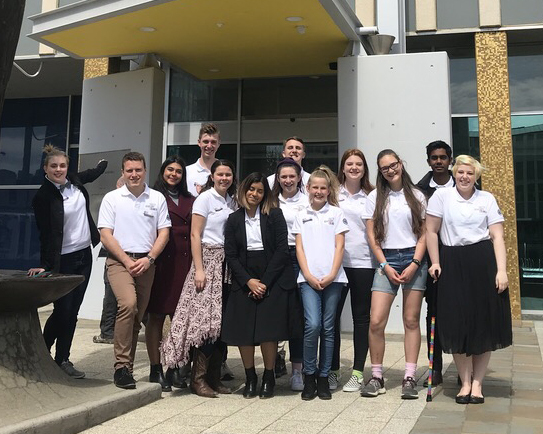 You can read about what the young people told us at 2018 Youth Roundtable – What we learnt. The ACT Youth Assembly is a deliberative democracy process that will draw out key ideas and policy recommendations. It will encourage direct participation to inform well-considered public decisions. Equity for Aboriginal and Torres Strait Islander young people. If you would like to discuss anything further, please feel free to contact the Youth InterACT team on youthinteract@act.gov.au or 62053064. Prizes! Samsung tablets, iTunes cards and Hoyts movie tickets as prizes. The Social Inclusion: Thinking All Round Youth Think Tank provided an opportunity for young people to come together and discuss the concept of social inclusion through the following four focus areas: Cultural Cohesion, Inclusive Environments, Sexual Diversity and Youthism. Each Thank Tank explored focus areas in depth, discussing how the community currently creates the opportunity for young people to feel socially included and how individuals can be better equipped to contribute to an inclusive and cohesive community. Creating the space for local young people to talk about their experiences and generate solutions is essential to creating an inclusive community. The Think Tank provided a platform for young people to discuss issues, strengthening community resilience and harmony and creating a safer community for all. For more information please contact Youth InterACT at youthinteract@act.gov.au or 62053064.